2016-10-17 - Looks like cleanup on aisle four: Run World Tour in EDuke32! 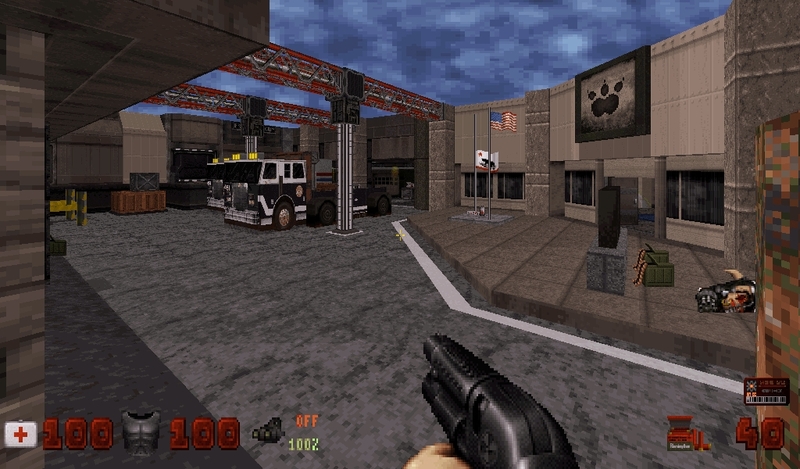 After the release of Duke Nukem 3D: 20th Anniversary World Tour, Hendricks266 compiled a first patch making World Tour work with EDuke32. 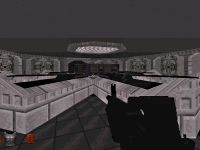 Once you drop these files into the World Tour installation folder and run the provided EDuke32 binary, you should be able to play the game. Please note that the current version of the World Tour EDuke32 Compatibility Stopgap (now that's quite a mouthful, isn't it) is still lacking a few quite important features - e.g. don't expect the Incinerator or the Firefly to work properly, and there's also no ending cutscene if you finish E5L7 right now. If those are no showstoppers for you, feel free to give it a shot! As a bonus, the release even allows you to revert to the original red cross medkits (instead of the new ones with pill replacements) if you manage to edit one file (e32wt_start.def) and remove the comment signs there. Other than that, DukeDC HRP v1.64 and DukeDC Music Pack v1.12 are also available. While the new HRP finally includes a fix for a nasty alignment bug with the title screen (originating from a mistake in the groupfile art), the DC Music Pack finally got an ingame menu disclaimer which informs you that you are running a custom soundtrack which was not officially part of the game. I felt urged to do this after people kept claiming their music didn't work properly if they didn't use the music pack. As a reminder: You are supposed to hear the regular episode 3 soundtrack in Duke It Out In D.C. since this addon never had any custom music (other than Life's A Beach and Nuclear Winter). 2016-10-07 - Aaahhh... much better: Download section full of new stuff! For a long time, EDuke32 is capable of loading MIDI (and VOC) replacements directly without requiring definitions if the original file names are kept. I thought that the music packs should finally profit from this feature and updated all of them, making the usage of music.def files obsolete. The main advantage is that you should now be able to use any of those music packs without needing the separate override file (formerly available as duke3d_musonly.zip) if you want to experience improved music without HRP. 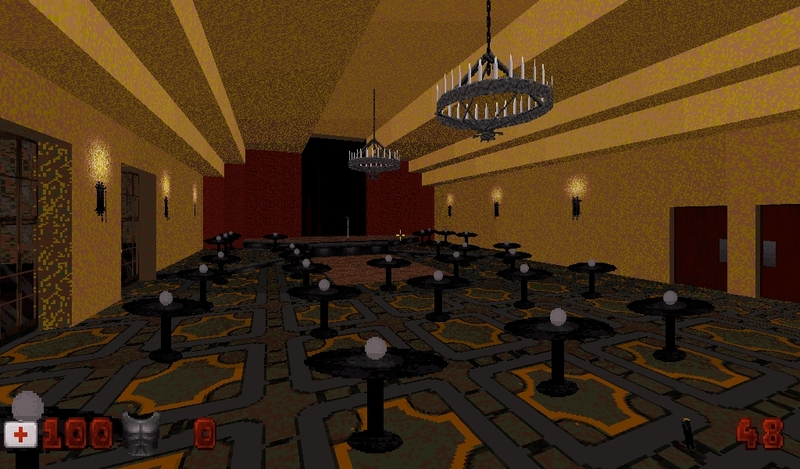 On October 1, Fox released his 3D classic skyboxes - a leftover from the (unfortunately) cancelled "Hail To The King" edition which was supposed to fix/improve skies in the EDuke32 Polymost renderer. 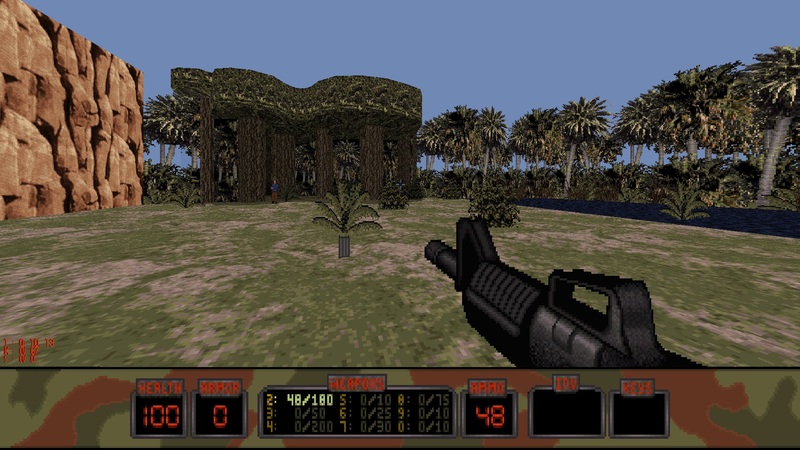 It's also a neat thing for Polymer, so I added this great stuff to the Fixes for Duke Nukem 3D pack, together with Darkus's fixed game.con which addresses a lot of annoyances present in the original game (e.g. kill counter fix, properly rotating gun turrets, sharks counting as enemies and more). 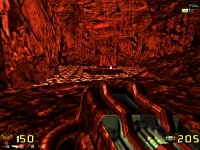 There was some other stuff floating around in the Duke4.net forums for a while which I decided to add: The PSX Highres Sounds feature all the sounds from "Total Meltdown" which are identical to the PC version so you can enjoy higher quality sound effects. 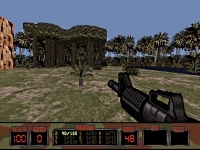 There's also ReDuke, a nice Windows port for the first Duke Nukem game which you may not have noticed. Note that you will need the original game files for this, it won't just work out-of-the-box. 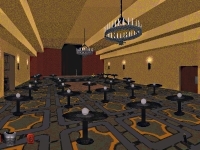 Last but not least, something was done with the files for "Duke It Out In D.C.": DukeDC HRP v1.63 had its maphacks removed since they are part of the regular Duke3D HRP for a while now. No need to risk conflicts. Unfortunately, no other changes besides that. In the DukeDC HRP Music Pack v1.11, all MIDI-to-OGG renderings have been replaced by new recordings with the Timbres of Heaven soundfont. I believe this improves music quality of those tracks, however if you don't like the changes, you can stick to your old music pack if you wish. However, you will not be able to play Duke It Out In D.C. without HRP in that case, since this is the second big change which comes with the new version. [NEW] PSX Highres Sounds: Sounds with better quality from "Total Meltdown"
[UPDATE] Duke3D HRP v5.5.694 Snapshot: Available since September 27, 2016. [UPDATE] EDuke32 Addon Compilation v3.1: Available since September 30, 2016. In the meantime, we have also added Dropbox mirrors for most of our files. In case you had experienced issues with the existing links before, maybe you will be able to download everything from here easier/faster from now on. 2016-09-30 - That's Gonna Leave A Mark: Addon Compilation v3.1 and World Tour! Reports about various glitches in some entries of the EDuke32 Addon Compilation have reached me in the past two months. This gave me enough reason for yet another release. In latest version 3.1, hopefully the majority of all remaining annoyances will be addressed. This time however, it's mostly a maintenance release - so better don't expect as many additions as you got previously. 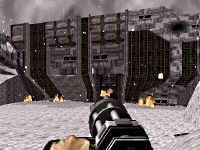 There's four smaller new addons (one of them requiring WGRealms 2: Siege Breaker) and two entries which received content enhancements (Space Map Pack and Starship Troopers TC). Other than that, it's about issues or visual glitches you may or may not have noticed if you have played previous versions. Side note: It's now a lot easier for technically ungifted users to launch the compilation since a batch file for fast startup is included. Just click on addons.bat in your EDuke32 installation folder and you are ready to play! Download the EDuke32 Addon Compilation v3.1 HERE! 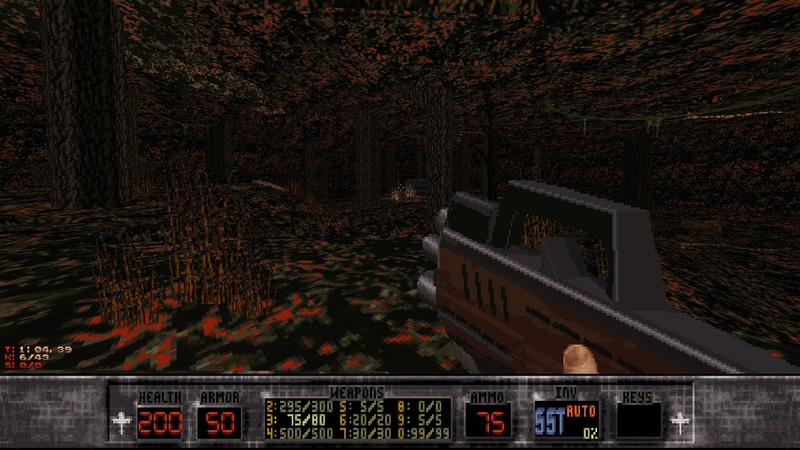 In other news, you may have probably already heard that Gearbox will release Duke Nukem 3D: 20th Anniversary World Tour" on October 11. The definite highlight of this re-release of the original game will be an additional episode with eight new levels created by designer veterans Allen Blum III and Richard "Levelord" Gray, with new music tracks composed by Lee Jackson. 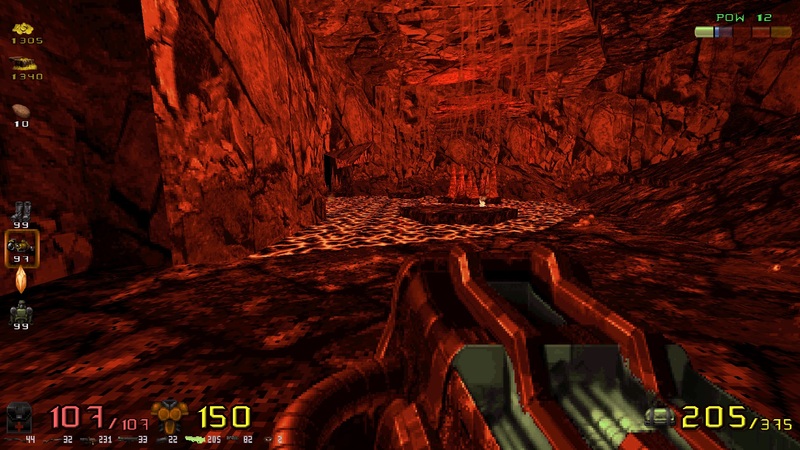 You will also get a new weapon (the Incinerator) and face a type of enemy you have not encountered so far - the Firefly! Other changes of this edition appear to be more questionable and are controversially discussed, e.g. in the Duke4.net forums. 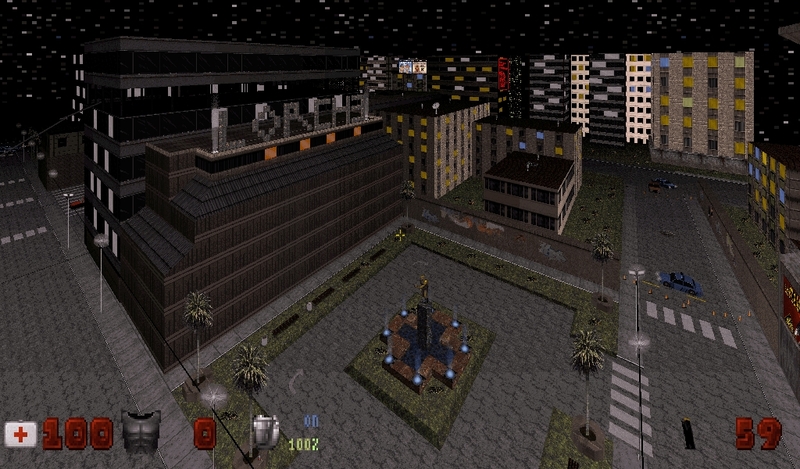 For example: World Tour will feature a new port with different/upgraded lighting system and normal mapping. Not everybody likes the new lighting (which seems overdone in many places) and applying normals to the original textures, however. The new high-quality Duke speech recorded by Jon St John also gives reason for criticism as it seems to collide with all the other sounds which remain untouched and therefore sound kinda "muffled". The product also appears to be overpriced according to many statements, especially considering that none of the commercial addons (Nuclear Winter, Life's A Beach, Duke It Out In D.C.) will be included. Randy Pitchford's recent Twitter statement that the $20 for "World Tour" will only be charged for the new episode while the previous episodes are a "bonus" also didn't exactly solve the pricing discussion. Some of these issues certainly can be solved/improved even after the release of the game. What about you? 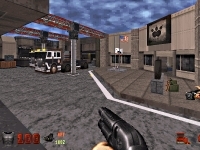 Do you think this is the "definitive" edition of Duke Nukem 3D as claimed by Gearbox? Do you intend to buy the game (or maybe you have even preordered it already)? How excited are you about the new content? Feel free to let us know and discuss "World Tour" over at the Duke4.net forums! 2016-09-27 - Finally some HRP news again... sort of! Same old song: There's still no new contents for a new HRP release. 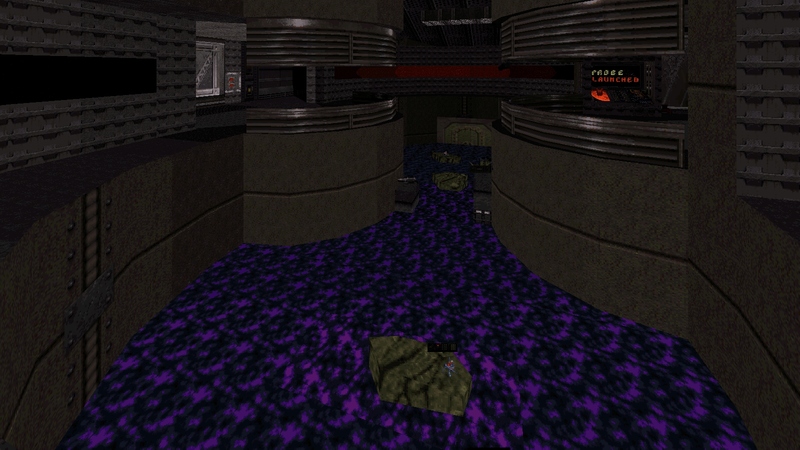 Besides tons of additional user maphacks (thanks to LeoD), some textures have been added (only to be seen in custom maps) and a couple of spec/normal maps are new or fixed (e.g. Protozoid Slimers used to be super shiny due to totally exaggerated def values). Nothing any of you would really notice while playing the original episodes. Nevertheless, I have decided to put the latest HRP SVN snapshot into the Download section (as "Duke3D HRP v5.x SNAPSHOT"). It's named differently than the official zipfile (duke3d_hrp55694.zip instead of duke3d_hrp.zip) so you cannot accidentally overwrite the old file. Just use one of them at a time, of course. Try this experimental HRP at your own risk since we couldn't test it before, so you may or may not encounter issues while playing this with latest EDuke32 snapshots. Expect another update in a few days since I intend to release the EDuke32 Addon Compilation v3.1 on September 30. This will be a bugfix release for v3.0 with many improved versions of existing addons. Not much will be new, but since there are some considerable fixes included (e.g. 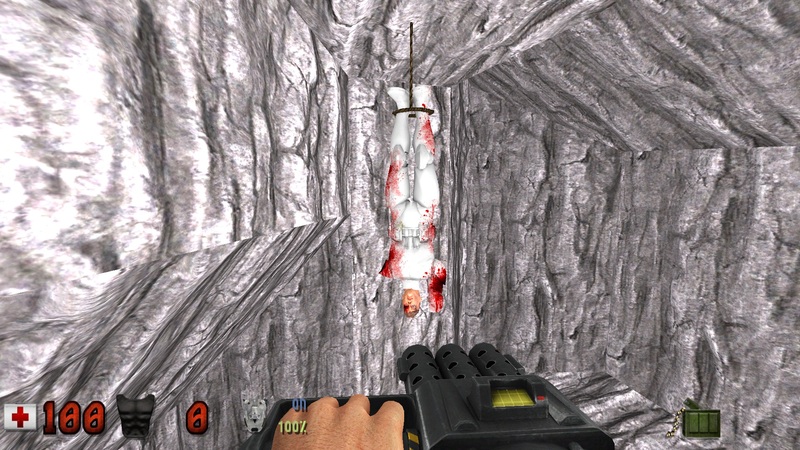 a properly working Oblivion), it's still something you shouldn't miss. In the last two months, various improvement suggestions and addon requests have reached me regarding a third version of the EDuke32 Addon Compilation. I have reviewed all community requests and decided it's time for yet another release to polish everything a bit more and increase the addon archive even further. As a result, we are counting 109 addons with over 1.100 levels now. Not all new entries are really new, though - some of them were split off from existing previous packs since they deserved to be standalone. There is still more than enough stuff that you may or may not have ever seen or played before - such as "Alien vs Predator", "Castle Quest", "Duke Is 007", "Redrum", "Sun Burn", "Total Apocalypse" or "Zombie Crisis", just to name a few. Two very recent - and excellent - releases are featured as well: "The Root" by CruX (now concluding the Urban Map Pack) and "LORCH3" by Sanek (as the final part of the LORCH Trilogy), both published in June 2016. Including various smaller fixes - e.g. 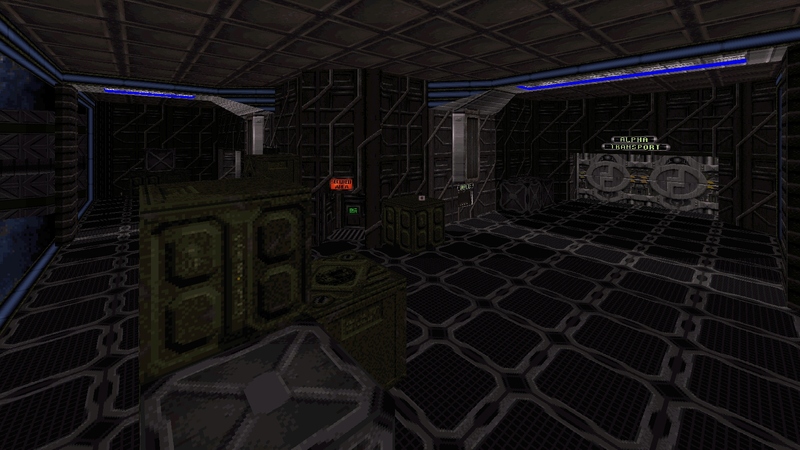 maps not starting without weapons as intended, regrouping of some addon content, music pack compatibility and more! Download the EDuke32 Addon Compilation v3.0 HERE! Enjoy playing, but don't forget: Praise goes to the authors of these great addons, not me! 2016-04-19 - Happy 20th Anniversary! Whoa, half a year since the last news over here. But fear not, I haven't let things slide in the meantime! 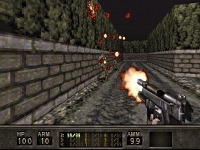 After a considerable delay, but just in time to celebrate the 20th anniversary of the Duke Nukem 3D retail version hitting the store shelves, I give you the EDuke32 Addon Compilation v2.0! This is a lot more than just an update to the previous release - it's a full re-release! Over the course of more than a year, I have tirelessly polished pretty much each and every existing entry of the collection, fixing smaller and bigger bugs along the way. Tons of content was added, making the pack grow to 86 included addons with more than 1.000 SP levels! 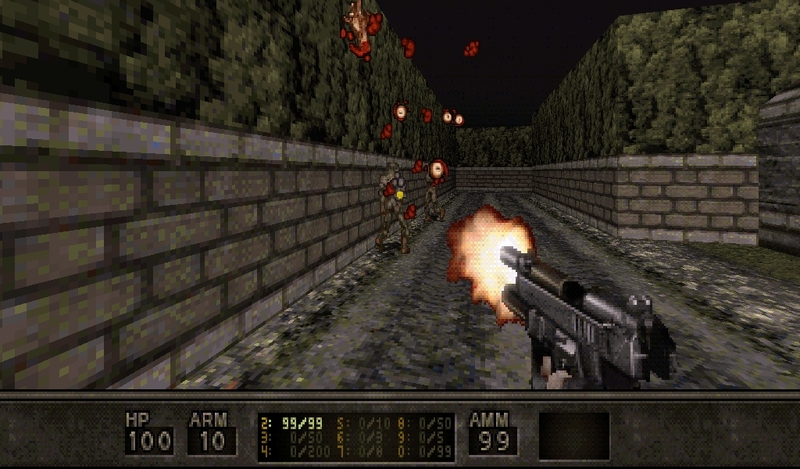 And it's not only about old stuff - four high-quality addons from 2015 have made the cut: "Death Drive", "DN64 Revisited", "Haunted Nukem" and "TamDuke"! My heartfelt thanks to all the authors who gave their kind permissions to make this possible! Tons of fixes, e.g. sprite resize bugfixes finally working properly, corrected skyboxes, typo corrections and much more! Just as a reminder: I didn't create any of these addons - this was just about fixing and polishing them for convenient usage in EDuke32. The real heroes are the mappers and modders out there who keep sharing their amazing creations with us, from 1996 till the present day. 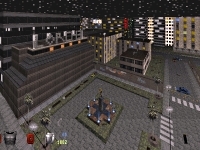 Due to their remarkable contributions, the classic Duke Nukem 3D becomes timeless. My credits wouldn't be complete without giving kudos to the guys from the EDuke32 coding team who gave us this amazing port, the best one of its kind. It allows us to enjoy the game any way we like - the old-fashioned way or with fancy special effects. Without their efforts, a compilation like this one would have never been possible! If you really took the time to read all of the text above, I'll even tell you where to get it. Download the EDuke32 Addon Compilation v2.0 RIGHT HERE! So here's to Duke! Happy 20th anniversary, and now let's go for the next 20 years! Not too much has happened since June, as you may have guessed. 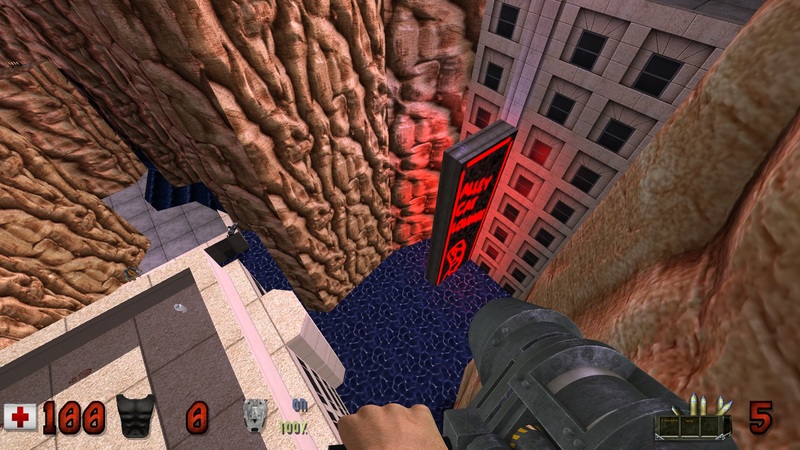 I am working on a new release of the EDuke32 Addon Compilation, and it's turning out to be a lot bigger than expected: Every single addon has been reviewed and over 250 maps will be added! Right now, the whole thing is in testing stage, with a few things pending due to some potential problems caused by EDuke32 (or myself, that hasn't been completely determined yet). Hopefully, everything gets solved until December so I can release this one year after v1.0 - as intended. 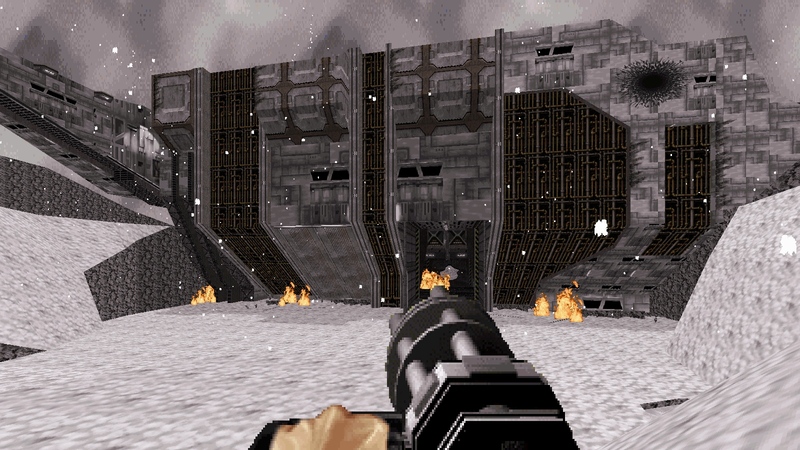 In other news, EDuke32 has seen quite some enhancements lately, especially regarding rendering of wall-aligned sprites which were often flickering or clipping into walls in OpenGL rendering modes. On top of that, you may now adjust the dynamic lighting feature of the Polymer renderer conveniently through the menu (Options > Display Setup > Polymer Setup)! EDuke32 will now even "realize" when a switch is hidden and automatically turns off its tell-tale glow even if dynamic lights are activated. Grab latest EDuke32 snapshot now if you haven't done so already! 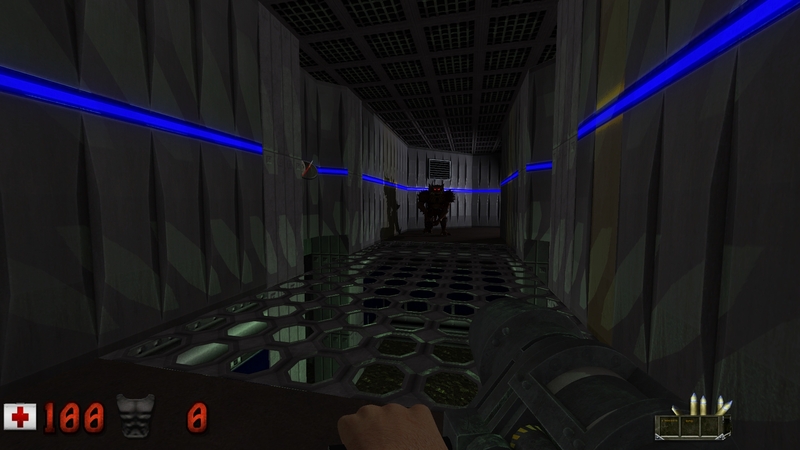 For the time being, there is the Duke!Zone II Custom Patch v1.1 to check out if you wish. 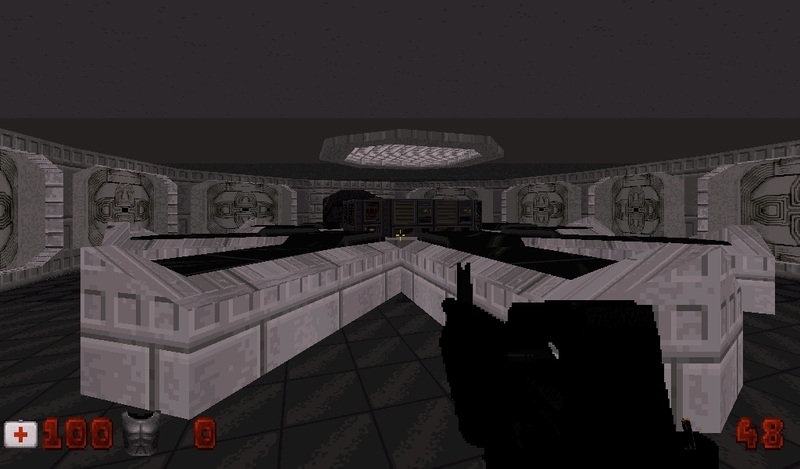 Patch your original Duke!Zone II groupfile with this once more to profit from some CON code optimizations and a remapped Duke3D soundtrack (instead of following the default ep.1-3 soundtracks, music now fits better to the individual levels). 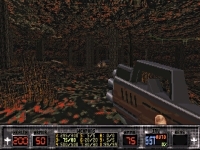 Also in August, I had already silently added a small patch file for original Duke3D that basically restores the 8-bit redfont from Duke3D v1.3D for Duke Atomic (results in better legibility of fullscreen HUD and menu), a widescreen statusbar (based on graphics provided by Fox) and the enhanced "Grabbag" title MIDI by Lee Jackson. You can find both of these new uploads in the Duke3D Bonus Files section. 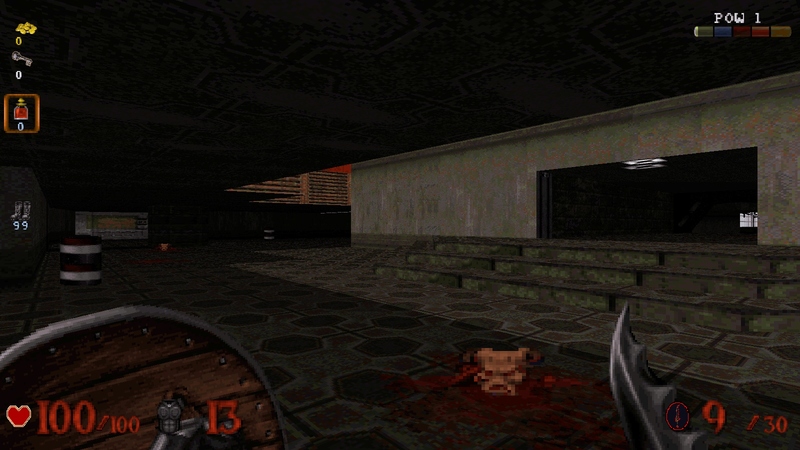 2015-06-15 - Brace for impact: Duke3D HRP v5.4 goes live! Almost six months of silence here doesn't mean nothing happened. Need proof? No problem! 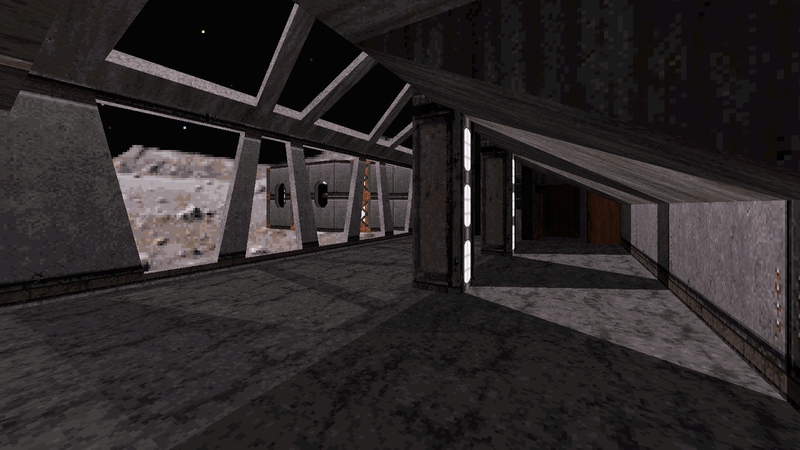 At long last, the Duke Community brings you the Duke3D HRP v5.4! We managed again to add about 130 MB of additional content to the pack since September 2013. 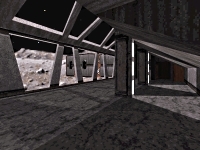 Even though this is impressive, the amount of stuff which is really new and noticable remains modest: There is a Luke Skywalker model for the famous secret in E2L8: Lunar Reactor now, together with a few new textures. 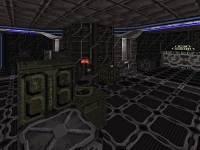 Emphasis rather lies on enhanced maphacks support for more custom maps (now powered by a more flexible maphacks system implemented in recent EDuke32 releases), considerable progress regarding Polymer support for textures/models and updates applied to some secondary models which had visually suffered throughout the years. [FEATURE] DEF files for basic Megaton Edition "support"
Thanks again to everybody who contributed to this release and helped with taking care of the SVN repository. You will find that EDuke32 also made some really nice progress in the meantime, so kudos to its coders are again in order!